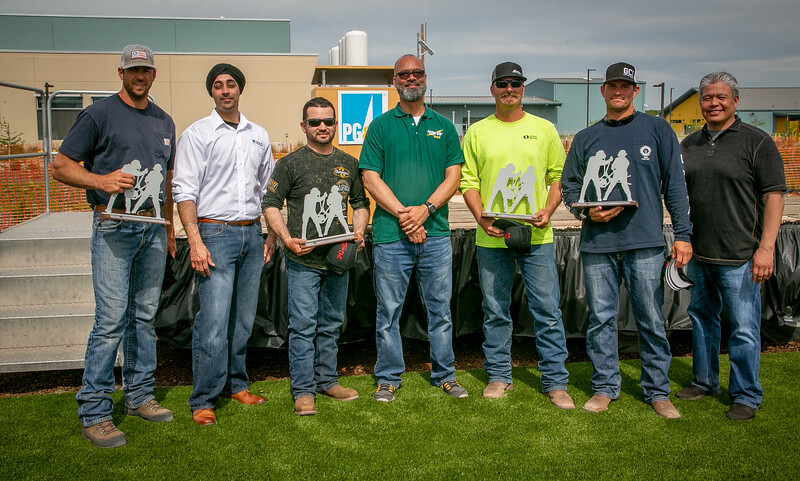 Dozens of IBEW 1245 members who work for PG&E in Gas Construction and Locate-and-Mark showed off their skills at the Fourth Annual IBEW 1245/PG&E Gas Rodeo, which took place on May 5 at PG&E’s new Gas Safety Academy in Winters, CA. 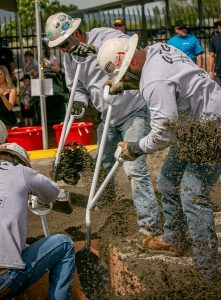 In the Gas Construction competition, each of the eight teams competed in four different events — the pipe cut, the meter build, the service run and the hand dig. 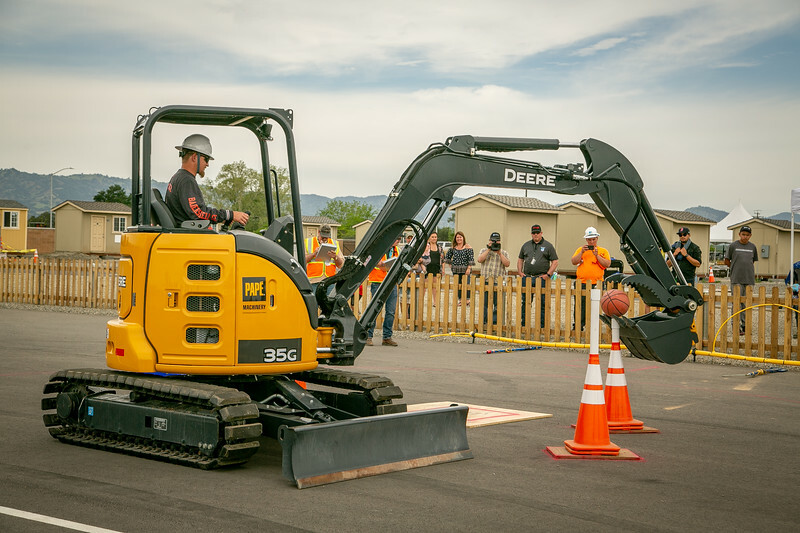 The teams with the top scores at the end of the day advanced on to the final relay event, which presented some unusual challenges, including drinking a cup of water with no hands, and carrying an egg with an excavator. 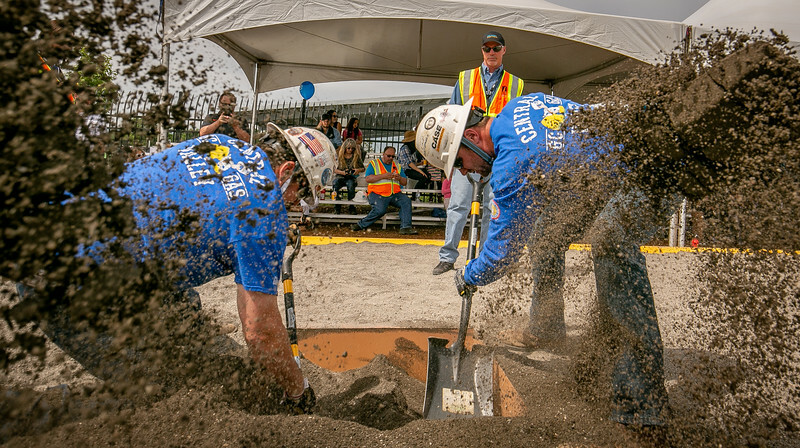 The Locate competition has its own set of events for both Gas and Electric locaters, marked by the notorious “Locate From Hell” event where competitors have just three minutes to complete as many locates as quickly and accurately as possible. 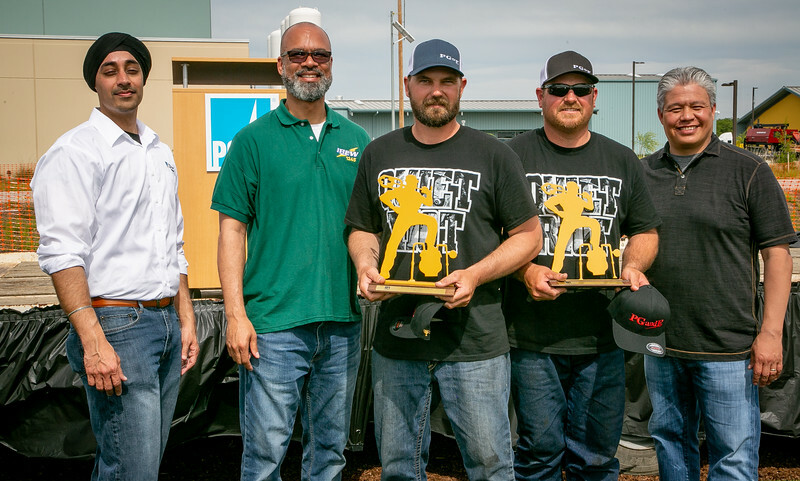 Auburn Gas Crew Foreman Brian Reome is a seasoned Rodeo-goer, having competed in all four IBEW/PG&E Gas Rodeos, and he even advanced to the National Gas Rodeo last year. He brought his crew back again this year in the hopes of earning another trip to the national competition. While the competitors demonstrated their prowess on the field, their families cheered them on from the sidelines. 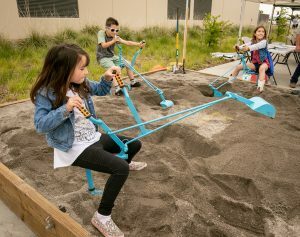 The event also featured several activities for the kids, including a mini ditch-digging sandbox, a climbing wall and a mechanical bull. 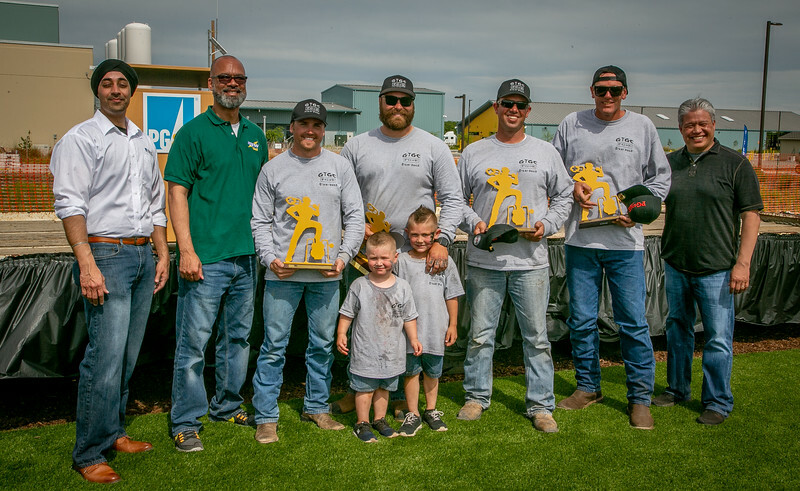 Reome also appreciates the family-oriented and collaborative nature of the Rodeo, and the fact that the event is co-sponsored by both IBEW 1245 and PG&E. Congrats to the winners! 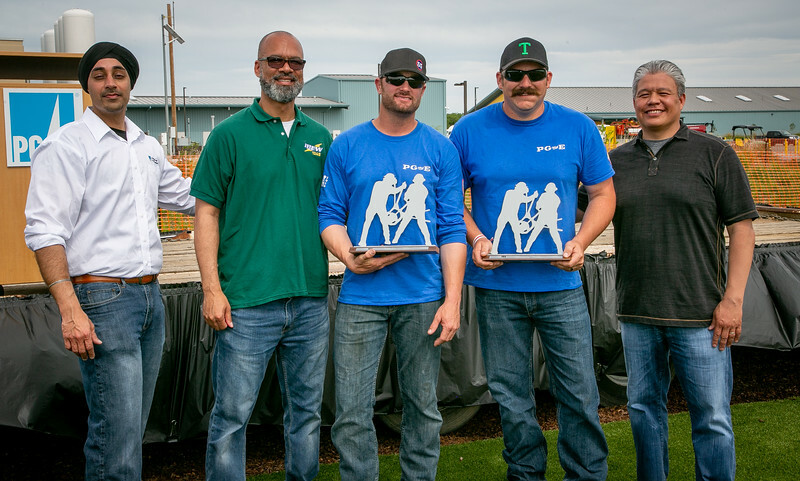 The four winning Gas Construction teams will advance to the national competition in Kansas City in September, while the winners of the Locate Competition will move on to Dallas to compete at the Utility Locate Rodeo in October.